Of course, that is a bit circular, as the keyword in both phrases has not yet been explained, and that is ‘brand’. But that is on purpose – because it is exactly that word and the questions around it that actually matter, both theoretically and practically if you want to make a successful brand. If you do not know what your brand is, then it is impossible to manage it. If, on the other hand, you do have a clearly defined brand, then not only will it be easy for you to manage it and know what will help and hinder that brand. But you’ll also make it easier for customers to identify with your company and product. You will make it more attractive to them, and make it easy for people to separate you from your competition. 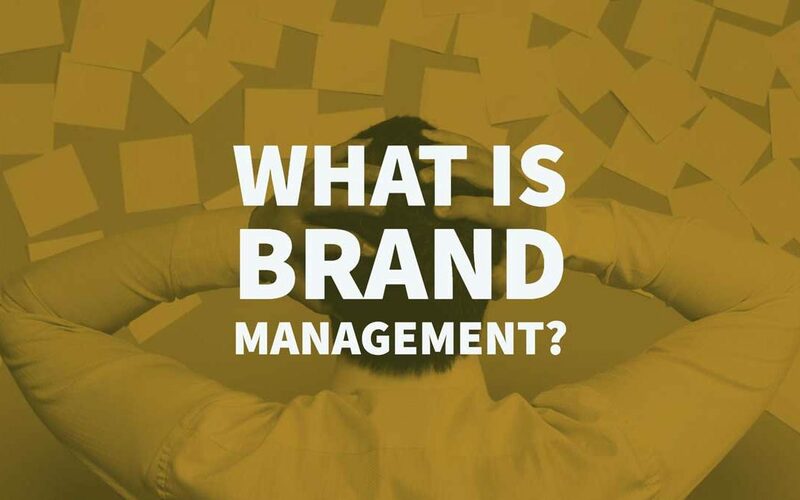 Therefore the very first step upon the road to successful brand management is a matter of definition. Obviously, your brand has the standard tangible characteristics, such as what you’re selling, the price, the colours, the packaging and everything around. Even services have tangibles, such as the actual service and the customer experience. Chances are good that you’ve got these down pretty well, or if you’re just starting out you’re working towards it. But a brand isn’t just that. It’s the associated feeling and brand emotions that people have when they consider your brand. Think of the difference between your product and your brand as the gap between what your company makes and what your customer buys. The customer isn’t just buying your product. They’re also buying the prestige, positive emotions, and the associated image. The better you’ve managed your brand, the more the purchase that your customer is making is about the brand, rather than the product. Now that is not to say that the product doesn’t matter. Obviously, it still does. But it becomes less important. For example, Rolex watches are no doubt good watches, but when people buy a Rolex in many ways the name is more important than the product. The brand must be relevant. The product must meet expectations and the brand must be successfully tied to the product. If for example, your brand is effeminate and you’re selling power tools, then something has gone terribly wrong. In effect consistency equals trust. If you always deliver a consistent message that remains loyal to the core concept of the brand, then your customers will internalize that message – and thereby the brand – more easily. If the brand is well positioned so that it can claim mental real estate in your consumer’s minds so that it is the first thing that comes up when they consider buying a product similar to what you’re selling. A sustainable brand has legs and will allow the company to work towards innovating, maintaining success and organizing the working process. It is vital that your brand remains credible. That means that it does what it promises, that the marketing does not exaggerate and offer false claims and that it avoids negative publicity. You should always be striving to make your brand inspire and transcend beyond a product and into a lifestyle category. For example, how Apple made their products not just products but become the embodiment of a generation’s aspirations. If your brand melds together with that of other companies then obviously what you’re doing will help them as much as it helps you. For that reason always be aiming to make your brand unique. The place to start, of course, is the name. Last but not least, your brand should be appealing. People should want to be associated with it. If you can do that successfully, then the brand will almost sell itself! The brand’s image is the memories, ideas, thoughts and feelings that come up in their mind’s eye when they consider your product. 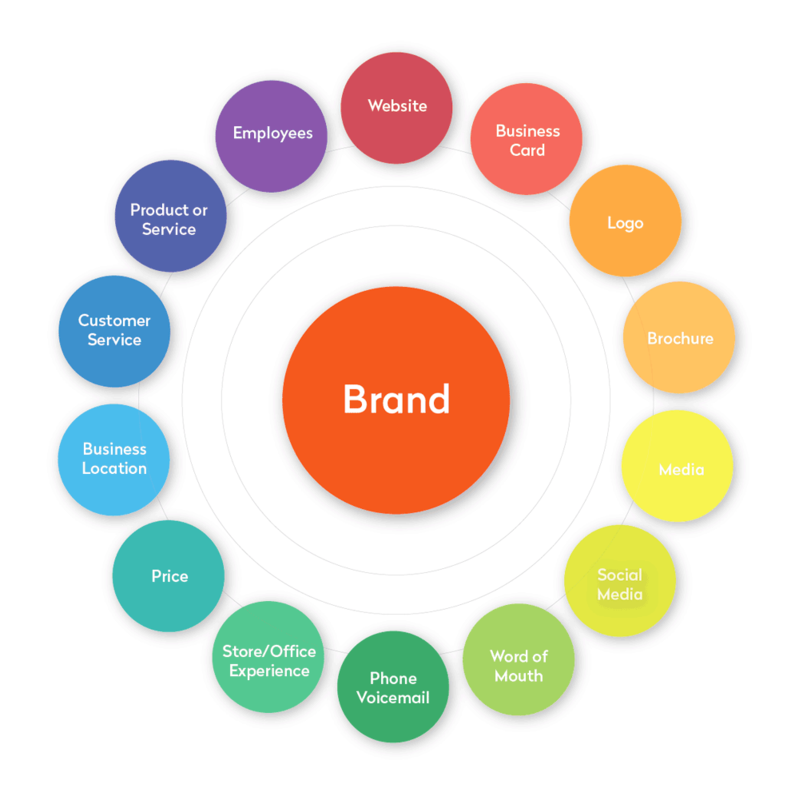 And how you manage the brand’s attributes will define your brand image. The best way to create a useful image is to find one word or one key phrase that sums up the main thrust of your argument. Obviously, more images and ideas can be associated with your brand, but all these other attributes are secondary. It’s this main idea that you’re trying to conjure in the consumer’s mind first and foremost, like a big equals sign with your brand on the one side and the target phrase on the other. For Toyota you could say it is reliability, for Apple, it would be a lifestyle and for Coca-Cola, it would be cool. Don’t try to make this idea too complicated as the more complicated it is, the more difficult it will be to create such a thought in the minds of your customers. Instead, focus on something simple and something that has immediate relevance. It’s vital that you find a way to differentiate your brand from the competition, particularly if they’re already bigger than you are. Otherwise, you’ll just be an also-ran. For that reason, when trying to define your brand image, first define theirs. This is important, as you can’t change their image, while you can change your own. Take the time to find the central concept to what their brand is, as well as the associated secondary concepts. Once you’ve got those worked out, it will be easier to define yourself to take advantages of the weaknesses in your competition’s branding. For example, they might have chosen to go for reliability and steadfastness but as a result inadvertently painted themselves into the ‘boring’ corner. This will then allow you to attempt to define your brand as the more exciting, more hip alternative. The first step in building a brand is creating a cohesive internal culture within the company, which you might call the ‘brand identity,’ which is how the company sees its attempt to establish its brand. 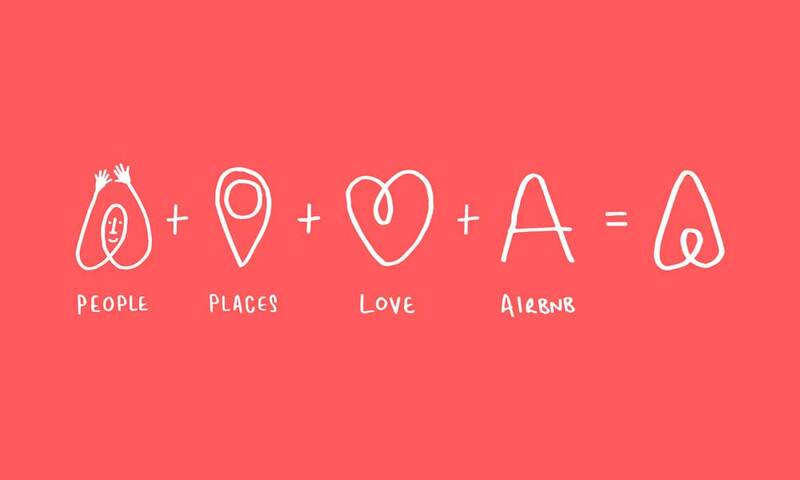 Note that the brand identity and the brand image are not the same things. The best way to describe the difference is to say that brand image is what the company projects to the customer, while the brand image is what the people inside the company do to project that image. If you’re trying to define it, you might say that brand identity is who you are while your brand image is how the market defines you. And though you might strive to have these two overlap, they will never be the same. 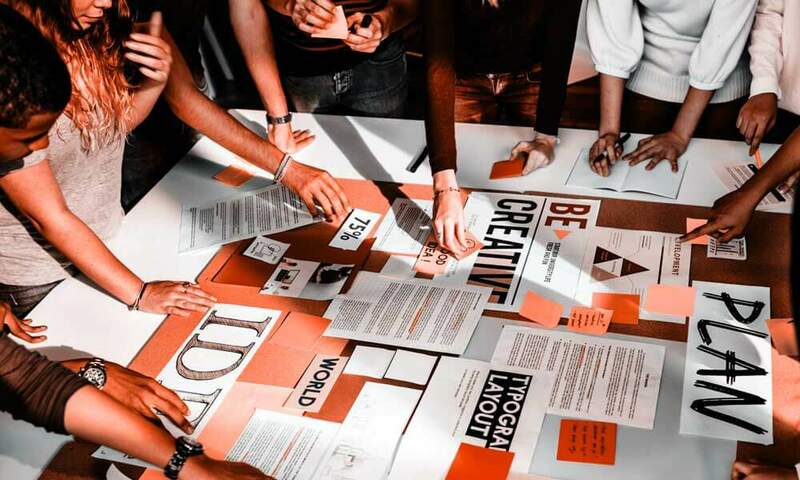 Leaving that aside for the moment, you have to strive to have an internally coherent brand identity – something that in large parts can be communicated internally by creating an appropriate corporate culture and a clear mission statement. These, accompanied by the logo design and your brand name, will then be the tools that you can use to create a coherent story. If you do not manage to create a proper brand identity or a good corporate culture that supports that brand identity, then you will find that your brand will not be correctly projected out into the world. The people in your company, in other words, won’t believe in what you’re trying to sell. And that lack of belief will be projected outwards towards the customers, who will pick up on it – if not immediately then at least over time. To try to build and manage a brand requires that everybody is on board and that everybody shares in the same culture, particularly those people that meet the customers and the public at large. To do that correctly means that you’ve taken the time to build up a proper foundation that fits your vision as well as that of your employees. This is important as nowadays people do not just buy products because they like them, but more and more because they identify with the mindset of the company that created them and because they want to embody that vision and idea. After all, most people have what they need physically, what they’re often lacking is something spiritually, emotionally or intellectually and quite often that’s the gap that they’re trying to fill when they’re shopping. And it is that gap that a good brand can help them fill. In days gone by the brand of a company was the way the shop looked on Main Street and the personality of the person behind the counter. As we move more and more online, that has changed drastically. Brands have become abstracted into a set of beliefs and ideals, where customers need to discern what your brand stands for from the way the web page is laid out. That means that nowadays we need to spend far more time trying to figure out for ourselves what we are selling, not just regarding a product, but in terms of a corporate identity. The best way to do that is through brand management, which means establishing a good brand and then projecting that brand outwards correctly and efficiently, through marketing and sales. What’s more, a brand shouldn’t just be something that we paint the walls. It should be something that is understood and believed by the people who work there as well. If you can pull that off you’ll be in a position to sell not just a product, but a cloud of feelings, associations and ideas as well. And you can charge extra for that. Author Bio: Janet Anthony is a blogger from Kansas city who has been writing professionally for five years now. She mostly writes about design, management, blogging, inspiration, and self-development. Her motto is “What you do today can improve all your tomorrows”. Find Janet here: twitter, facebook, LinkedIn.